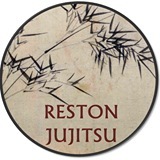 Jujitsu is the Japanese martial art of unarmed self-defense. Learn practical and effective defensive skills in a safe, family-friendly environment! Adults and coachable teens are welcome! No experience is required. Our sessions run 8 weeks. You can join anytime, even in the middle of a session, and have the YMCA pro-rate the cost.